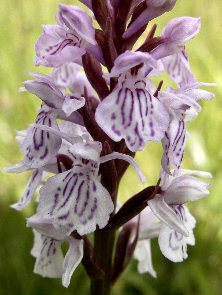 Some botonists believe that there is no difference between Dactylorhiza maculata and Dactylorhiza fuchsii or that fuchsii is a subspecies of maculata. 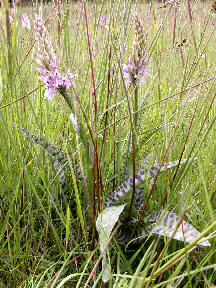 These orchids grow in acid or calciferous soil. 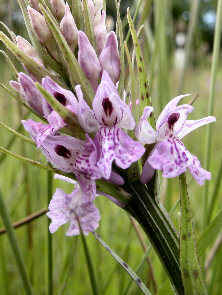 They are found in meadows, open bush, edges of woods, glades in deciduous and evergreen woods, marshes and moors. 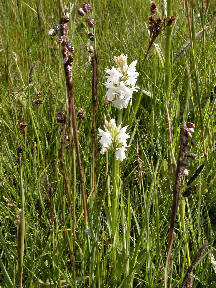 These were photographed in a very damp meadow beside a stream. 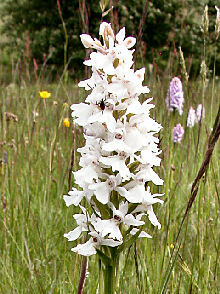 This is an albino variation of the orchid. 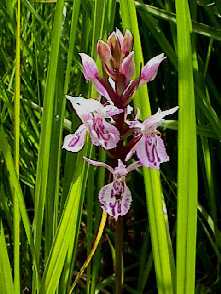 These orchids are much smaller than the dactylorhiza maculata and fuchsii. They were growing with them in the same damp meadow. 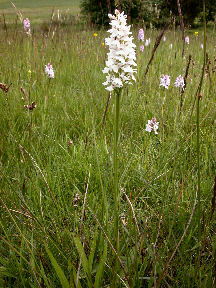 These orchids also grow in flat moors and swampy meadows in calciferous soil. These orchids grow in acid or calciferous soil. 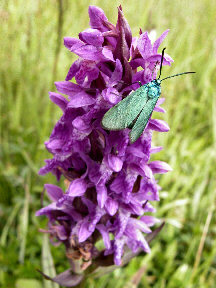 They are found in meadows, open bush, edges of woods, glades in deciduous and evergreen woods, marshes and moors. 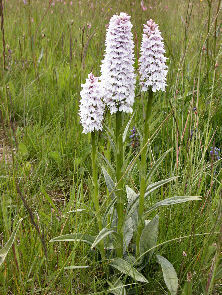 These were photographed in the same very damp meadow as the Dactylorhiza fuchsii, incarnata and majalis. 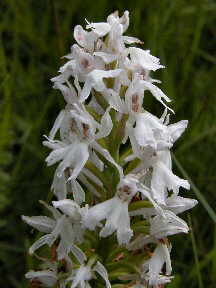 This is a variation of Dactylorhiza maculata with pure white flowers. Flowers with the usual white with pink markings can be seen in the background. 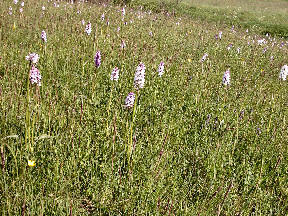 All the orchids on this page except for Dactylorhiza sphagnicola were photographed in the same meadow on the same day in the first week of June. 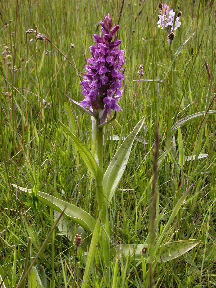 These orchids grow in wet meadows, bogs and flat moors. 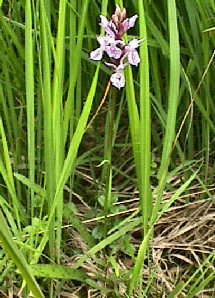 This is orchid was photographed in the Hohes Venn, a raised bog in Belgium on the German border. Boardwalks through the bog allow visitors to get close to the marsh plants. 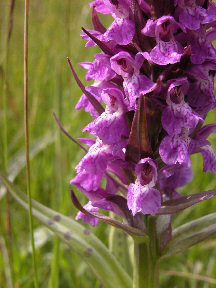 These orchids grow in peat bogs with sphagnum moss. Until about a hundred years ago local people used to cut peat to fuel their heating and cooking fires.